HOOD RIVER, OR – Sierra-Olympic Technologies, supplier of infrared (IR) and thermal imaging components, cameras, and systems solutions for advanced IR imaging applications introduces the Viento 67-640 thermal camera for perimeter surveillance, robotics, and other rugged outdoor imaging applications. The new thermal imager features a fixed focal length and fixed mount. With a 640 x 480, 17-micron thermal imaging core, the newest Viento camera provides standard NTSC/PAL composite analog video output with simultaneous 8-bit / 14-bit Camera Link® digital output. The uncompressed digital output is for imaging applications that require full-fidelity data transmission. The Viento 67-640 is designed with an IP67-rated environmental housing, making it ideal for operation in hot and/or cold, dusty, moist conditions. The affordable thermal camera is ideal for use with analytics products that provide object detection and object classification, slew-to-cue, motion detection/analysis, and other enhanced image processing in extreme environments. The Viento 67-640 has an automatic image normalization with an integrated mechanical shutter to deliver perfect image performance every time. The proprietary Image Contrast Enhancement (ICE™) offers heightened contrast and scene detail in low thermal contrast settings. Multiple athermalized lens options are available from wide 90 degrees horizontal field of view (HFOV) to narrow 6 degrees HFOV. Other features include custom lens calibration options, color palettes (for digital only), plus digital zoom and scroll. Sierra-Olympic’s Viento 67-640 is available in 9 Hz: http://www.sierraolympic.com/products/lwir-optics/viento-thermal/viento-67-640-camera and 30 Hz: http://www.sierraolympic.com/products/lwir-optics/viento-thermal/viento-67-640-camera-30hz. 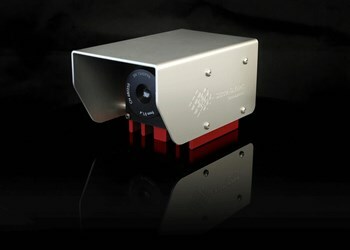 For more information about Sierra-Olympic’s wide array of advanced infrared imaging systems and solutions, and to order online, go to: www.sierraolympic.com. For general information about the company’s history, capabilities, and products, please visit: http://www.sierraolympic.com/about-us/overview-history/.